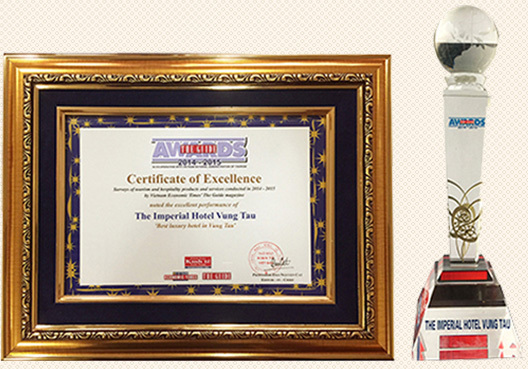 The IMPERIAL Hotel continues to set the standard for Vung Tau Hotels,having achieved numerous accolades since opening. 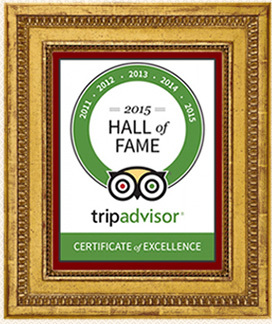 We invite you to come and experience our award-winning service for yourself. TripAdvisor's Certificate of Excellence is awarded to hotels which maintain a overall rating of four or higher, as reviewed by travelers on TripAdvisor. The IMPERIAL Hotel is proud to have been recognized the last six years by The Guide (Vietnam Economic Times) for our excellence and contribution to the development of Vietnamese tourism.